Check out the new sketch over at CPS. I wanted to make a male birthday card with this sketch, so it took a while to juggle the elements around so that it didnt look too fussy. 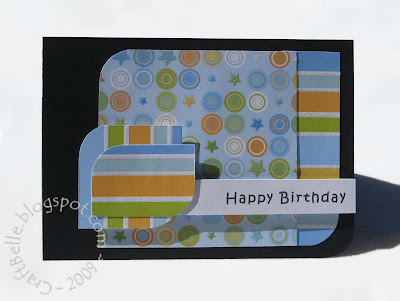 I layered up some of the stripe to create the focal element and added a sentiment.